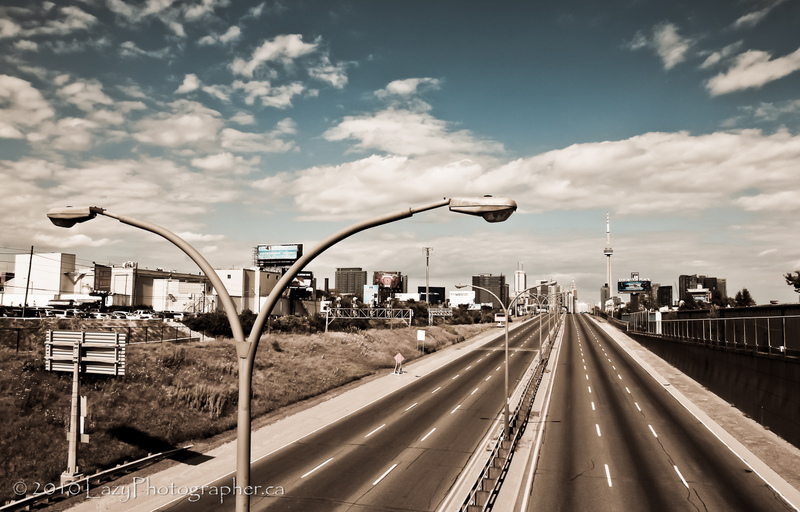 This entry was posted in Street Photography, Toronto, Urban Photography and tagged Art, Canon T2i, Digital Photographs, Digital Photography, Downtown Toronto, Gardiner Expressway, Lightroom 3, Photo Art, Photographs, Photography, Photos, Street Photography, Toronto Photo Walks, Urban Photography. Bookmark the permalink. Hi Dave, this is a wonderful image and it reminds me of a futuristic film still – after all the people have disappeared off the face of the earth. Thanks Lynn, that’s just what I was going for.